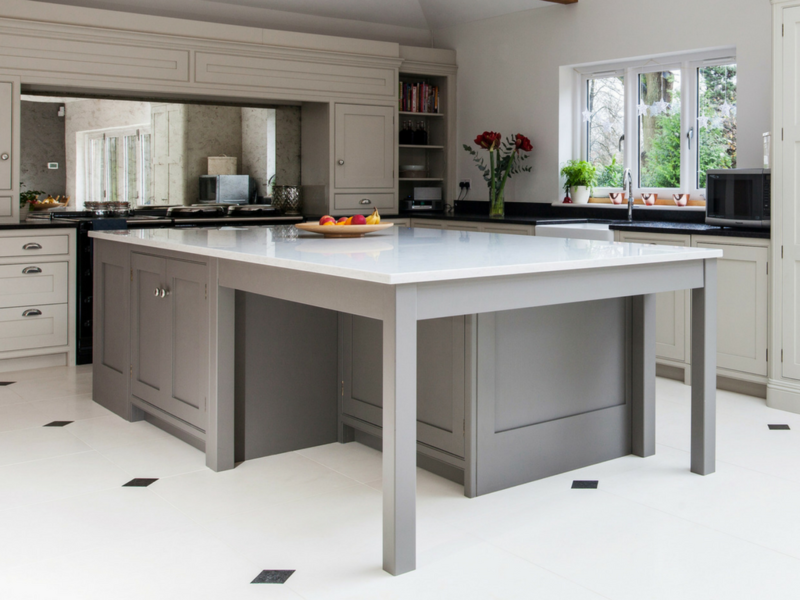 A truly bespoke kitchen will maximise the available space in your home, designed and handmade from scratch. 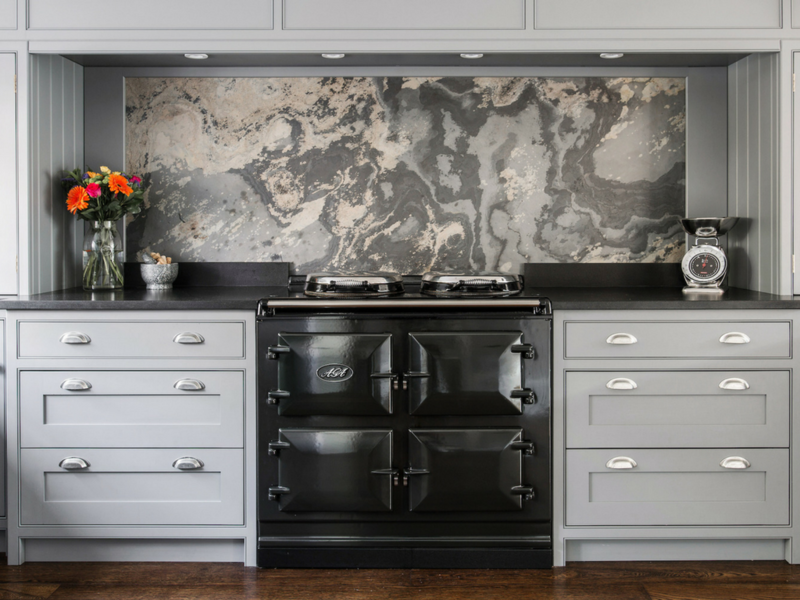 A kitchen designer will ensure your wish list is catered for and is built around how you want your kitchen to work for you rather than adapting your ideas to an off-the-shelf solution. 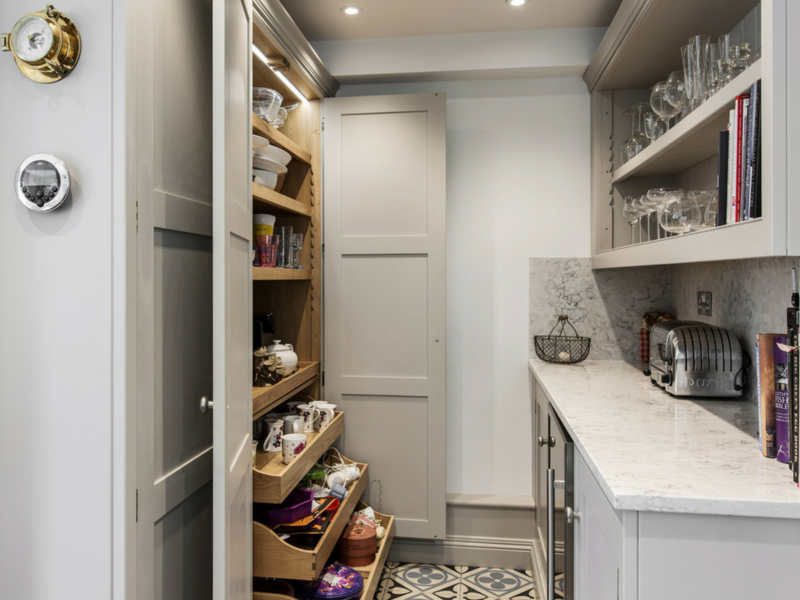 If you don't have the space for a walk-in larder a full-height, double-door cupboard works just as well. Include movable shelves and sliding drawers and it can be tailored to your every storage need. 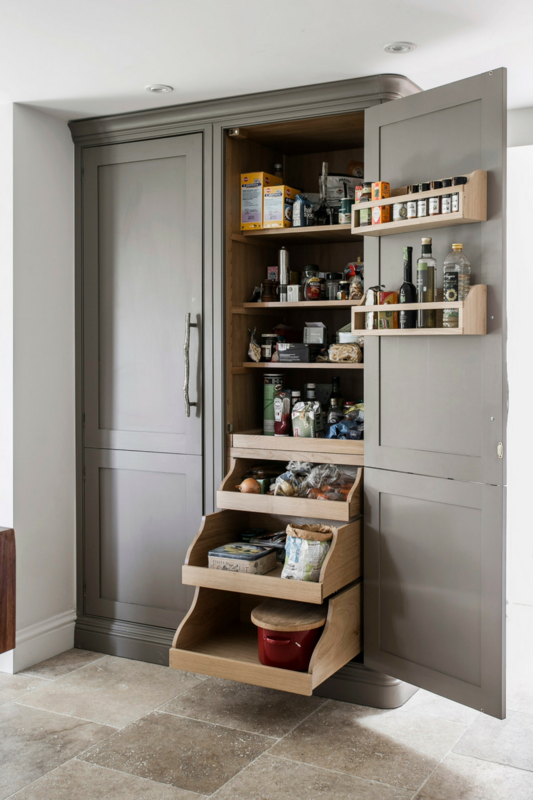 A larder cupboard is a modern alternative to a dresser, which can look a bit too “country” for urban homes. Available in almost infinite colours and patterns, large stone panels are easier to fit than traditional tiles and offer a stunning alternative. 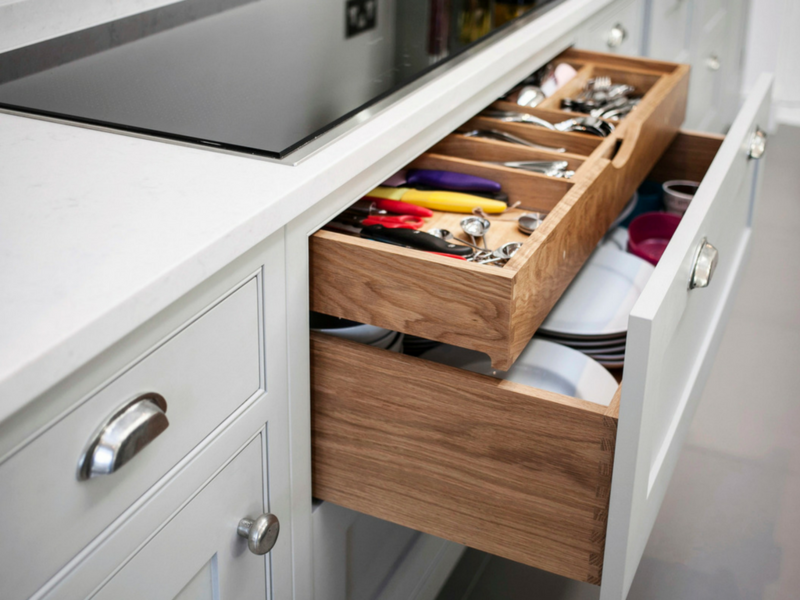 Drawers with perfectly sized spaces for everything from teaspoons to whisks make finding utensils and all your kitchen kit easy. Deep drawers aren’t always used to their full capacity so use two-layer drawers. A slide-across top layer for cutlery and smaller cooking utensils – makes sure no inch goes unused. 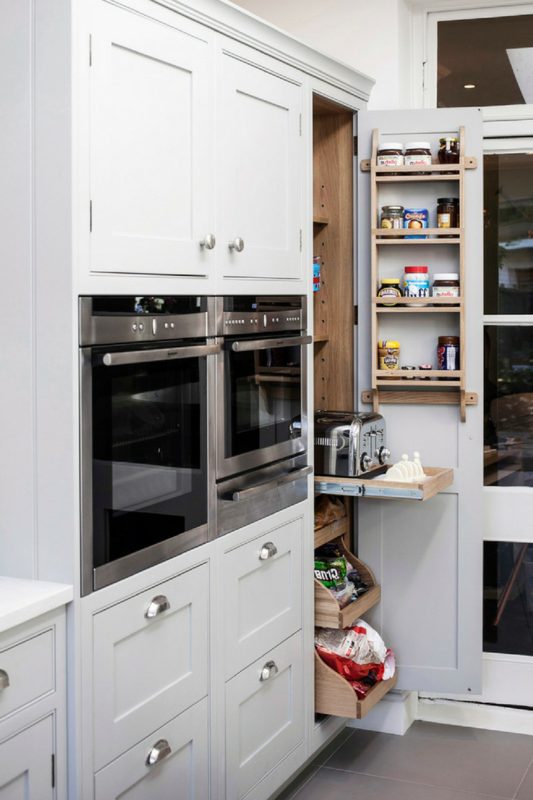 An appliance cupboard that contains useful daily kitchen kit is a great addition to a kitchen. Items you use every day such as a coffee machine and toaster are plugged in and ready to use. This means you can store bulky appliances off the worktop and don’t have to scrabble around in a cupboard and plug them in each time you want to use them. A kitchen island is the ultimate multitasking space providing a work zone and social hub. It is also the practical choice for storage and a sink. The focal point of the room.